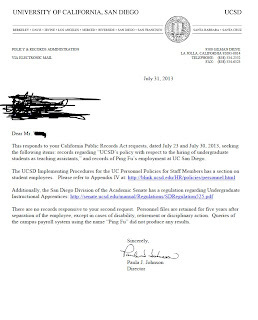 Fu Ping's resume at University of Illinois claimed that she held Teaching Assistant positions from both University of New Mexico and University of California, San Diego when she studied there. This appears unlikely as she was an undergraduate student in those two schools. UNM has already officially refuted her claim. 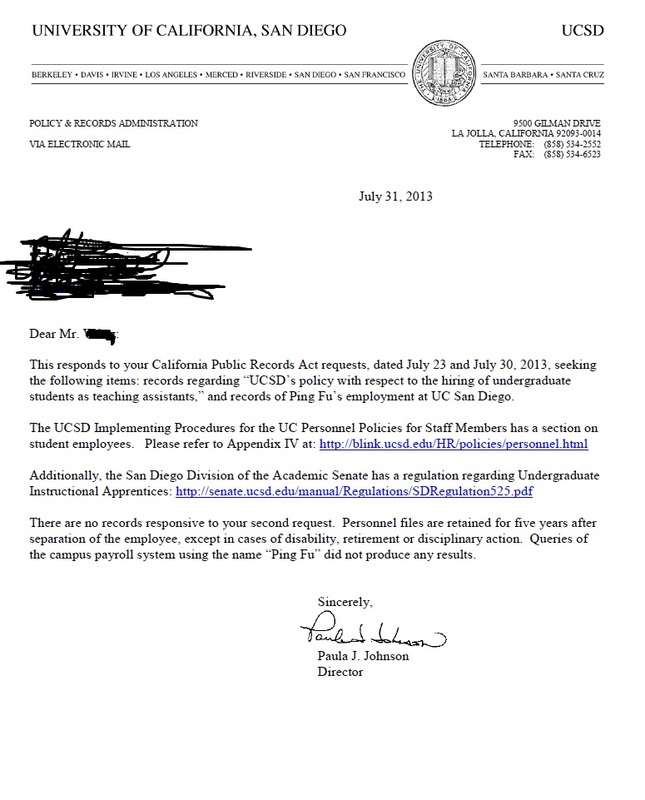 UCSD, however, could not confirm or deny her claim as the school did not retain their employee files beyond 5 years.